Was the Tsunami Based on the Double-Wing? 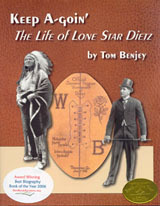 Old friend Tex Noel forwarded me a recent article about a new formation from AFCA Weekly. 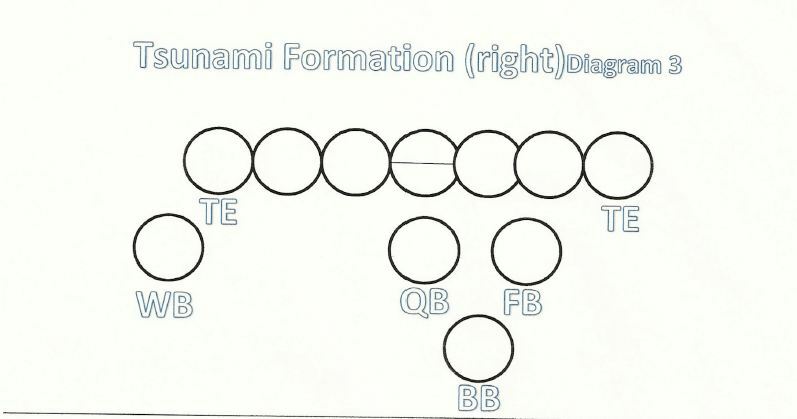 In that article Leon Feliciano, Head Coach of Tomales (CA) High School, states that his Tsunami formation is based on the double wing and provides photos of both formations (below). To me, the Tsunami is more like Warner’s single-wing than his double-wing because it employs only one wingback. 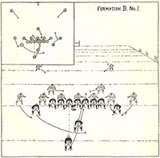 Warner’s fully-evolved unbalanced-line single wing as depicted as Formation A (below) in his 1927 book is closer to the Tsunami than Warner’s double-wingback formation, but is different, especially with regard to the positioning of the quarterback. Where Warner moves his quarterback along the line to just behind the tackles and renames the position as blocking back. 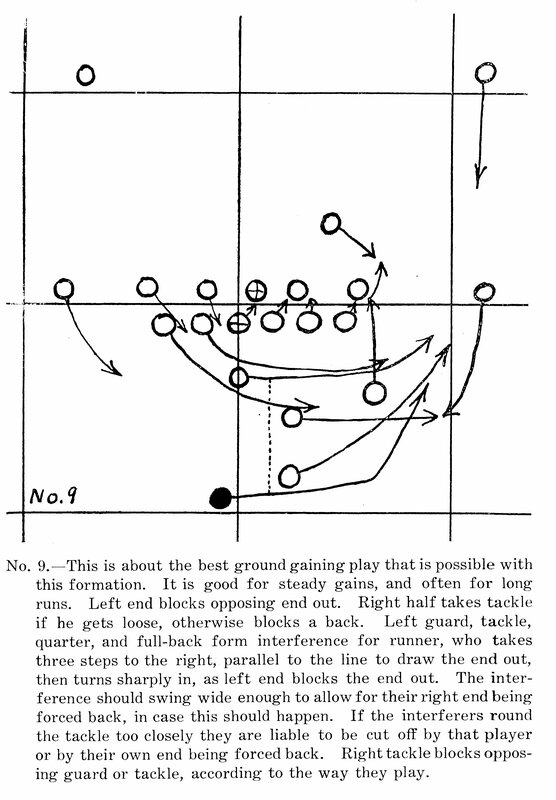 Warner’s 1912 book sheds little light on this question because Warner had shifted to running only direct snap formations in 1910. 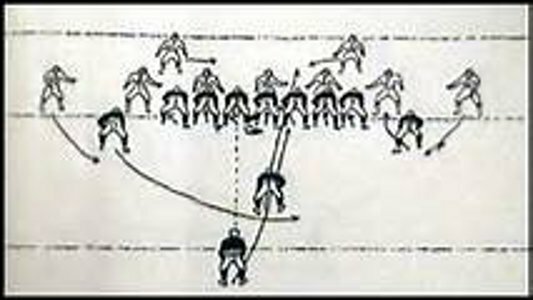 He does include one set of plays with the quarterback directly behind center in what he calls the Regular Formation (an incarnation of the T Formation). 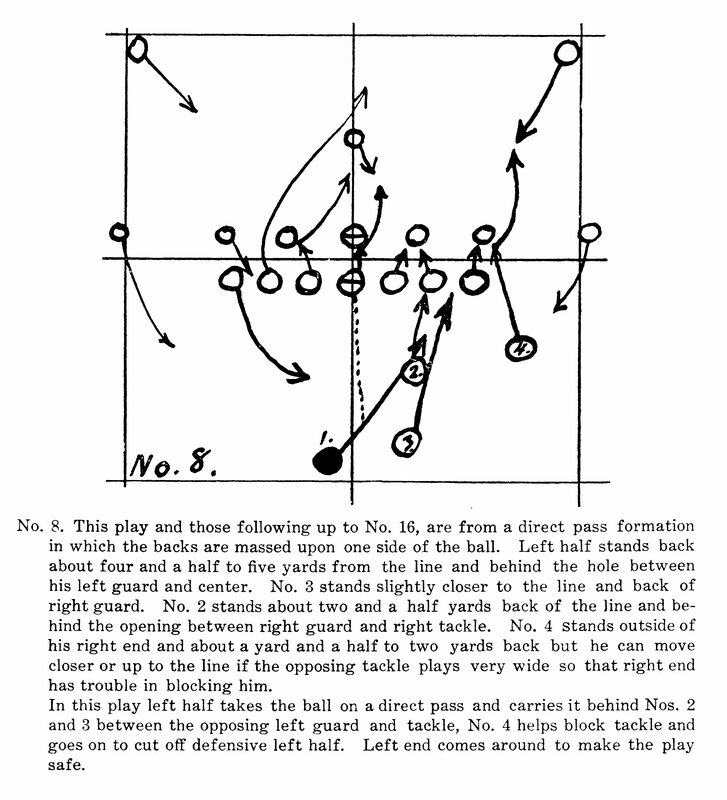 However, in his correspondence course Warner started marketing in 1908, he includes a set of plays run from the End-Back Formation in which the right halfback is placed outside the right end as a wingback without moving the quarterback from behind center. The difference between this formation and the Tsunami is that Warner positioned his left end in the backfield about where he later placed his blocking back. (Rules allowed five men in the backfield at that time.) The extra man in the backfield and the resulting unbalanced line are the chief difference between the End-Back Formation and the Tsunami. 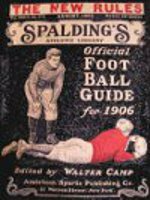 Warner’s next wingback formation, which appears unnamed in play number 8 to 16 in the 1910 or 1911 (the year isn’t clear) Offense pamphlet supplement is a direct-snap single-wing with a balanced line. If Warner moved his blocking back to directly behind the center, it would be very similar to the Tsunami. I hope this little walk down Memory Lane helps place the Tsunami with its historical predecessors. 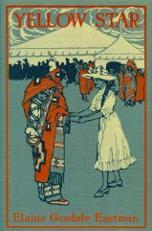 Beschloss later refers to David Eisenhower’s 1910 book about his grandfather in which the younger Eisenhower revealed that Ike had played under the name of Wilson in the 1909 Central Kansas League. In Baseball’s Most Wanted II, Floyd Conner provided a little more detail: “Eisenhower displayed his baseball ability when he batted .355 for Junction City of the Class D Central Kansas League.” So, Ike and Jim Thorpe started their professional baseball careers in similar circumstances. Both were poor, needed the money (which wasn’t much), and played on bush league teams but in different parts of the country. 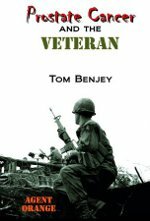 The difference was that Eisenhower was sophisticated enough to play under an assumed name. 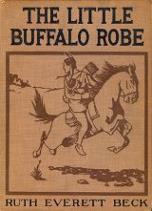 Politics in America have never been a kind and gentle business. If the Democrats thought hammering Ike over participating in college sports after having played for money would have benefitted them, they surely would have used it. Surely someone, possibly the reporter, would have remembered the AP disclosure. However, the sympathetic public response to Jim Thorpe’s professionalism probably persuaded them that attacking Eisenhower this way could easily backfire and eliminate what little chance they had of defeating this war hero.